As it has been reported by several statistical data, there will be an improvement in the global automotive industries in 2013. It has been anticipated by many industrial analysts that the registration of cars will increase by about 5.1 per cent by the end of this year. It has also been anticipated that around 43 per cent of the total worldwide pie will go to Asia. It is expected that the major growth of the automotive industry will come from the two Asian countries namely India and China. The main reason for the significant growth of the automotive industries in China and India is because of the increase in the number of the middle income population. Thus it is clear that automotive industries have positive prospects in the Asian countries. At present, something different is revealed by the automotive industry researchers. They have revealed that if the growth of automotive industries continue to increase in china, then the investments on the Chinese automotive market will create an over capacity in the future. The worst crisis situation is suffered in the European automotive industries. As a result the crisis situation in Europe is named as the Global Automotive Industry’s main driver. The car sales in Europe have been really affected by this crisis situation. The car sale in Europe has dropped for the fifth year at a stretch. As per the reports the car sales decreased from 13.6 million in the year 2011 to an amount of 12.5 million in the year 2012. The car sale in China was just a contrast to this. The car sale in China has increased over the years and in 2012 the total sales was 13.2 million cars. It is expected that in 2013 China will produce 19.6 million cars. 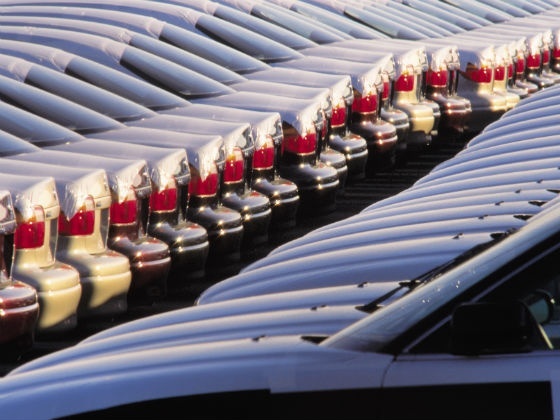 It is expected that Europe will produce 18.3 million vehicles in 2013. Thus, it is clear that China will be able to grab a higher percentage of share in the global automotive market. If we consider about the car sales in US, then the US automotive industries have suffered a loss during the financial crisis in the year 2008-2009. In spite of all these sufferings, the country is still now able to keep its position intact. Last year the car sales in US increased by 13.4 per cent and with this increment, US have sold about 14.5 million cars in the last year. It is expected that this year US will be able to take 18.2 per cent share from the global market. This increment is possible because of the increase in the number of vehicle sales. In the year 2012, car dealers in US sold about 812 vehicles on an average. At present companies like Volkswagen and Hyundai are trying to enter the US automotive market. If this happens then the average sales in US will become 850 in the year 2013. Among the Middle East countries Dubai is getting momentum in the automotive trade. This is all because of Dubai’s excellent geographical location. Dubai is the key access point to automotive trades for many countries.